Coleman, Lochmiller & Bond is a full-service civil litigation firm in Elizabethtown, Kentucky. The firm is distinguished by its sophisticated legal representation, commitment to long-term client relationships and demonstrated results. Attorneys at the firm collaborate in an environment where their individual talents combine to benefit each client. The firm is large enough to afford clients the resources required to prevail in an array of disputes, yet small enough that clients have direct access to highly accomplished insurance defense attorneys with in-depth experience. Maintaining long-term relationships is integral to the firm’s practice. Attorneys take the time to understand clients’ needs and objectives and then partner with them to chart a clear path to resolution. This philosophy has helped build a practice based largely on referrals from insurance clients who choose to seek the firm’s guidance again and again. The firm has litigated thousands of cases. 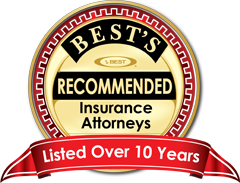 It boasts an exemplary record of results in all areas of insurance defense litigation and has crafted creative solutions to some of the most complex issues.